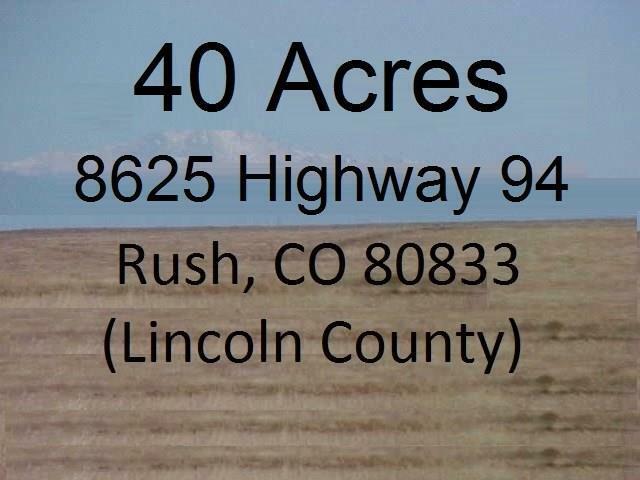 Approximately 40 acres of vacant land near the city of Rush, in Lincoln County Colorado, on North side of Hwy 94. Considered to be 8625 Highway. 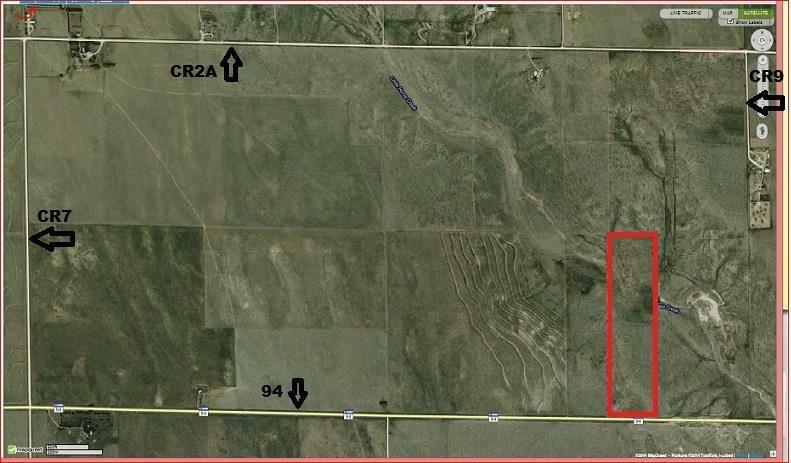 The lot has frontage road on Hwy 94. 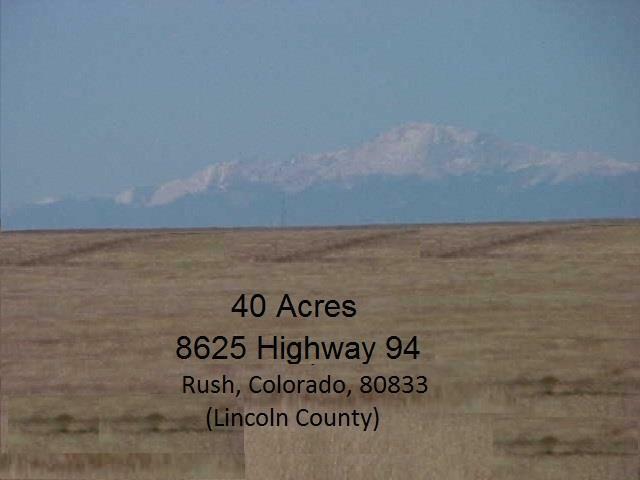 Adjacent to other large land developments and farms. Miami Yoder School District 60-JT. Bring all offers for consideration. 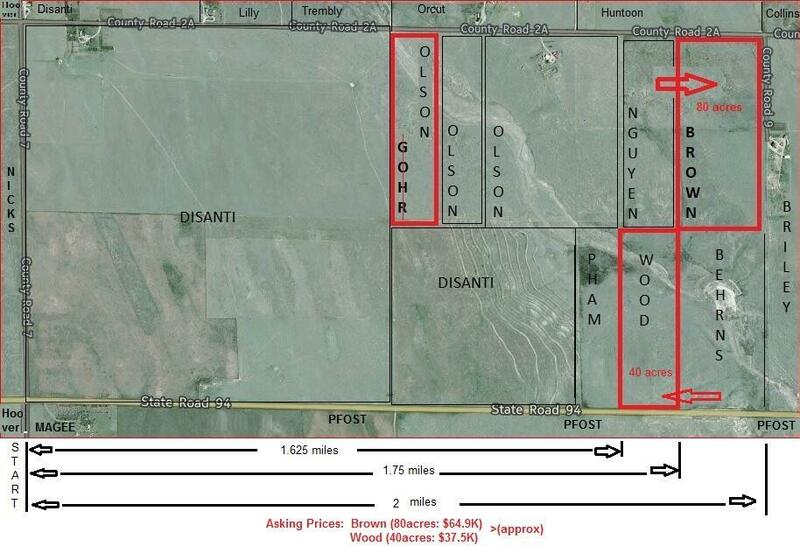 Offered by Clayton Bennett of Clayton E. Bennett.